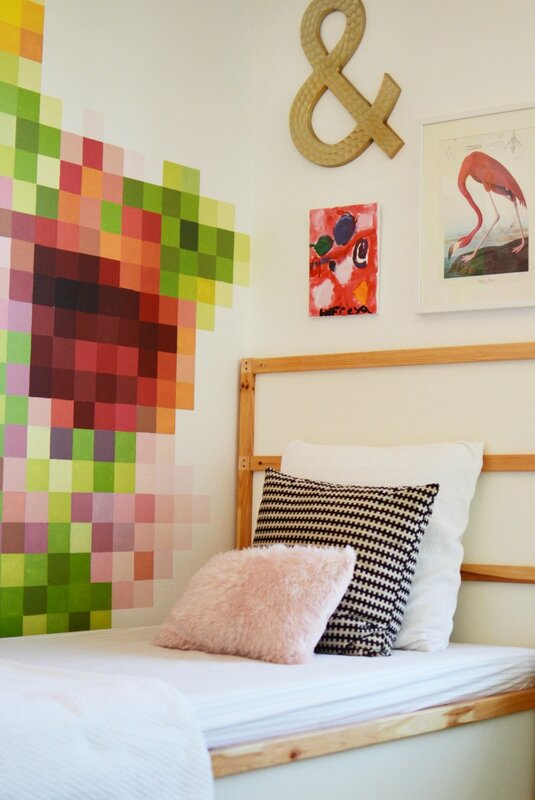 The request for this girl's bedroom makeover was for a rainbow, dolphins, clouds in the sky and flowers. So.........flowers it is! 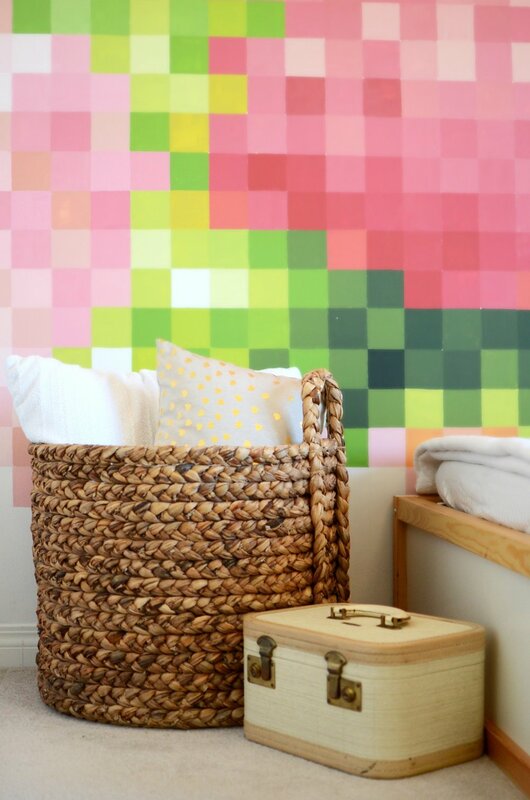 The wall is actually a picture of flowers that I pixelated and then hand-painted each individual square with the corresponding colour. 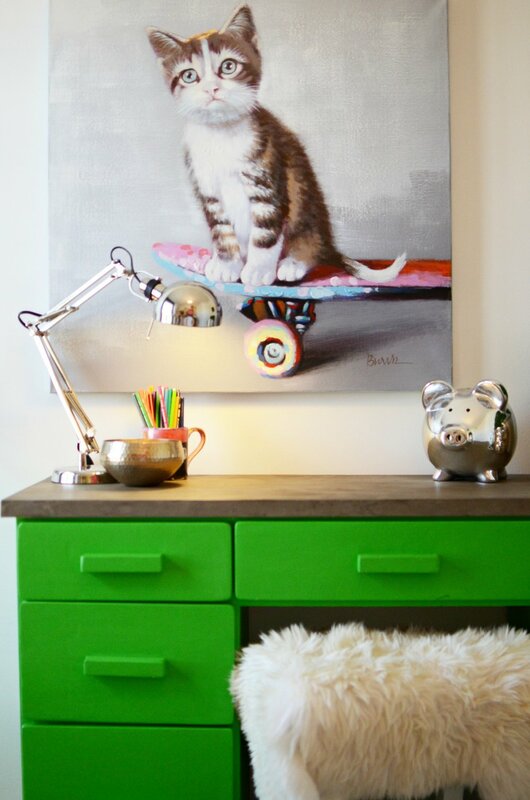 The desk received a vibrant green paint job and I transformed the old laminate top with a concrete veneer treatment. 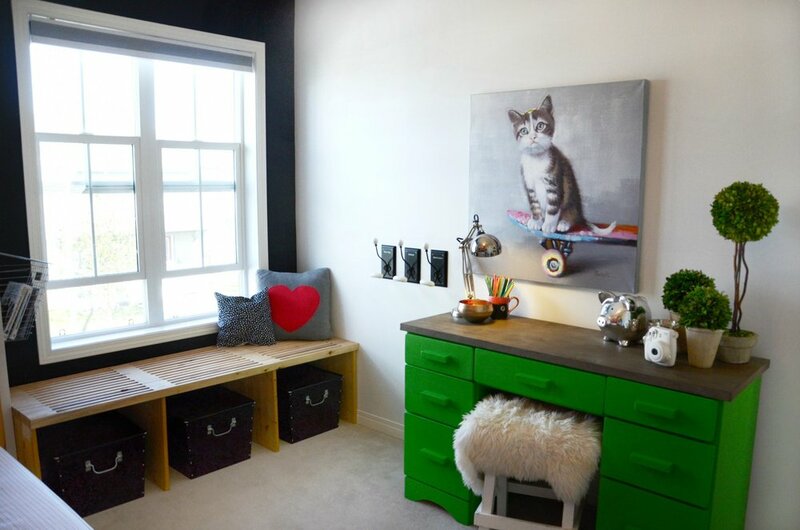 A custom window bench allows for a perfect place to read a book and look out the window. Storage is key in any child's bedroom so I brought in bins and baskets to make clean up a snap.